Leadership is an opportunity to serve. Anyone who doesn’t see it that way is not a leader, just a boss. Some of the strongest statements are made in the simplest ways. This is true of leadership. Especially Christian leadership. People will learn more from what we do than what we say. For instance, if we are going to teach and preach against greed and pride, we need to live a life that demonstrates generosity and humility. Sometimes that’s done in big ways, through benevolence projects and sacrificial giving. But it needs to be lived out in smaller ways as well. The people closest to us are watching to see if our everyday lives are matching up to those big, visible efforts. Here are five simple practices that serve as a starting point as we think about the example we are setting for the people who see us in everyday church leadership. One of my least favorite old-school church customs is the pastor’s parking spot next to the front door. In a culture that is always promoting selfishness and self-interest, this sets exactly the wrong tone and sends a message that is the opposite of Christlike. Instead, pastors should set an example of servanthood by parking in the spot farthest from the building. Especially on a Sunday when we’re usually the first in and last out, anyway. Any time a pastor sees crumpled paper on the ground, we should pick it up. No, we should not be walking around the building with a garbage bag every day. 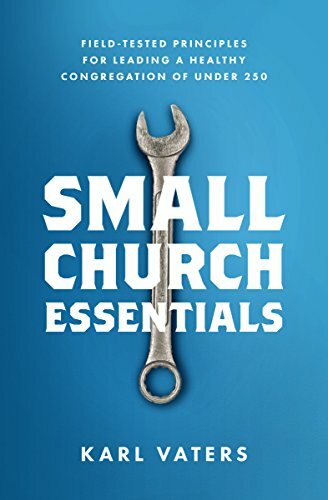 If we are there’s a problem with the maintenance team or, in a small church, with not training others to serve. But even with a thorough cleaning crew, things get dropped at the last minute and they need to be picked up. If we see it, we should grab it and toss it. Or set up tables. Or help clean up in the kitchen after a potluck. Like the previous point, we shouldn’t be the only person doing it – at least not for long. If we are, we’re being enablers of codependent church members. Training volunteers to do the everyday tasks of the church is a big part of what good leaders do – an example that was set up in Acts 6 with the choosing of the 7 to serve tables.